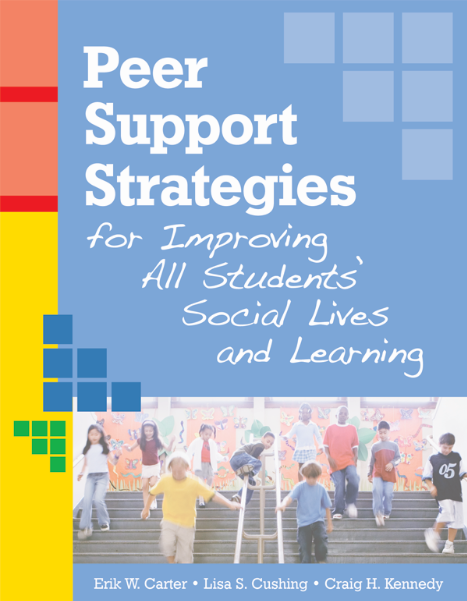 Peer supports are one of the most effective ways to help students with disabilities reach their potential and ensure that their academic and social needs are met. 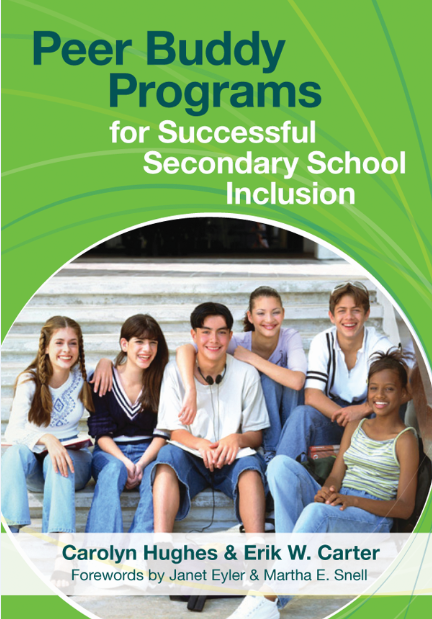 Whether you’re implementing a formal peer buddy program or more informal student-to-student partnerships, peer supports don’t have to require a huge time investment–but before you begin, the young people participating will need some preparation and guidance. 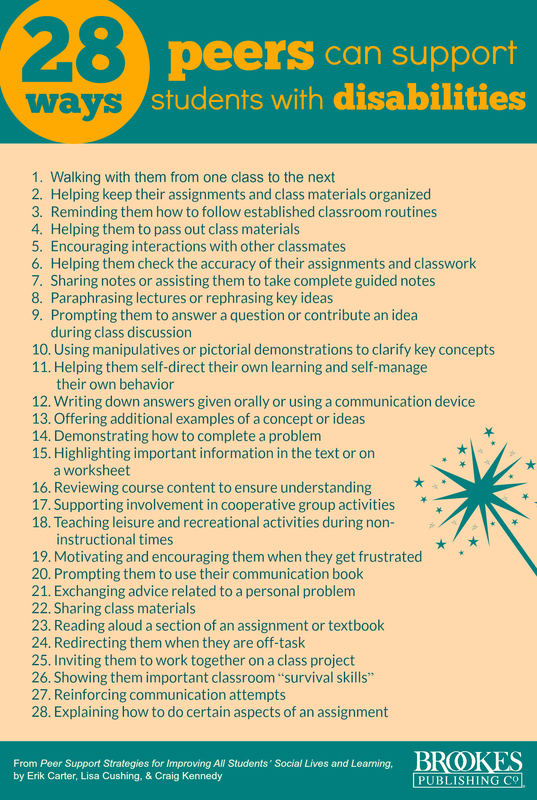 Today’s post gives you 10 tips on getting students ready to help, so they can provide the most effective, appropriate supports to their peers with disabilities. What do I do if my partner has behavioral challenges? Is it my role to address these issues? What if my partner decides he or she just does not want to work during a particular class? Am I responsible for making sure that he or she keeps up with the rest of the class? What do I do if I find myself falling behind in my own work? What if I ever feel overwhelmed or unable to keep up? What if my partner and I find we do not get along as well as we thought we would? Who do I go to if I have questions, need help, or have something I would like to share?